The pressure was intense. And I finally caved. The official VO2GoGo Mike Sock is now available to the general public. That means you, darling. From the beginning of my promotion of the AT-2020 USB Plus microphone, I’ve also suggested strongly that instead of paying a lot of money for a pop filter, you simply use a medium strength athletic sock. 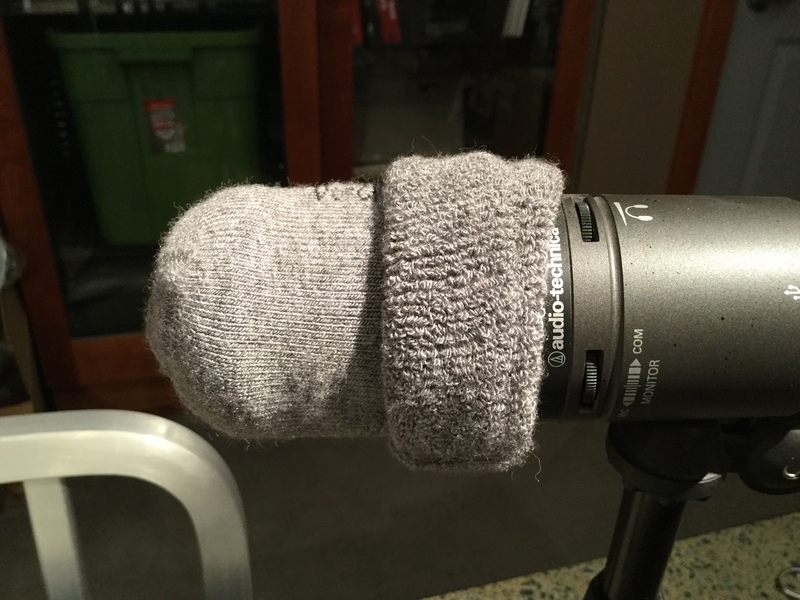 It does the same exact job as a foam or fibre-ring pop filter. 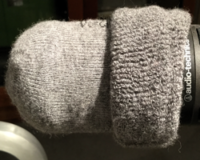 Plus, the mike sock allows you to get closer to the mike for intimate and luxury reads. I told people they could find the one I use at Target for about $3, but then, Target stopped carrying them. I found a perfect one to replace the Target one. It was a bit more expensive, but not even close to the cost of a foam ball or stocking-on-a-ring. And it was made of pure cashmere wool, with just the right weave to be acoustically clear, yet stop pops. And people have constantly asked if they could get one from me. I kept saying no, that I didn’t want to be selling socks. They insisted. They got their friends to tweet at me, and poke me on Facebook. 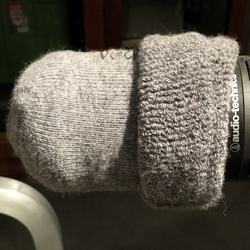 I’ve made the Mike Sock available free to my VO2GoGo Pros as part of their membership. They get the red version when they join. And they are the only ones that get that red version. So, there you go. Lobbying for change actually works.